Featured in the Design Observer and Blurb Inc., Thesis Book Project. Click here to view. Volunteers are given the questions: “How has Lyme Disease affected your life?” and “What inspires you?”. Select stories are chosen to highlight the diversity and severity of Lyme Disease in hopes of spreading awareness and creating a support system for those that already have it, to know you are not alone. 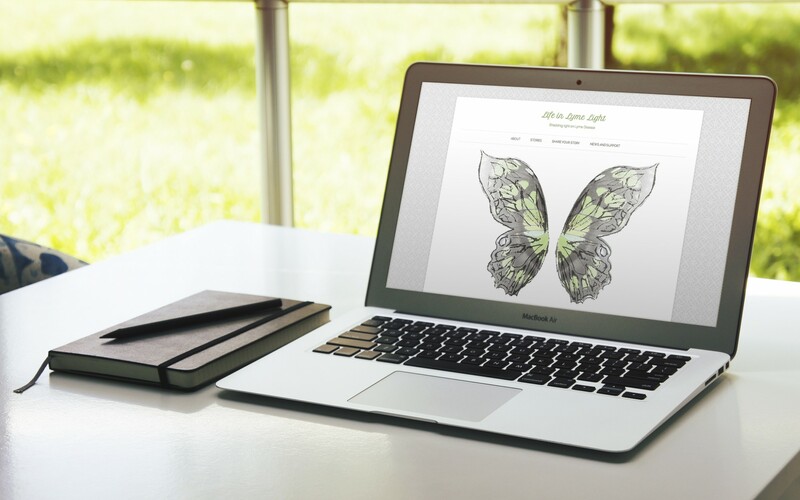 The awareness symbol for Lyme Disease is a lime green butterfly, embodying freedom. 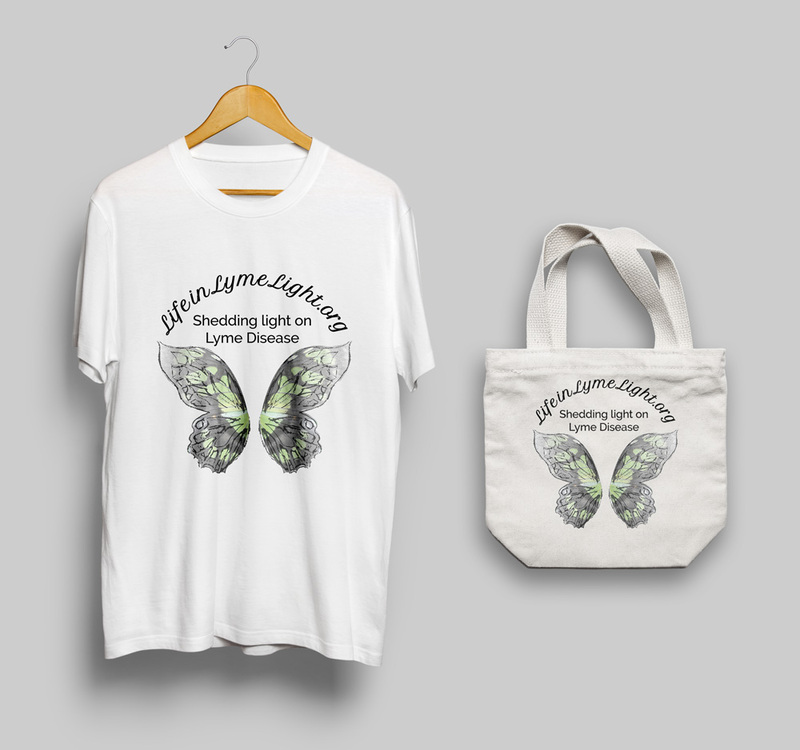 The purpose of this project is to get those who have been affected by Lyme, back to freedom. 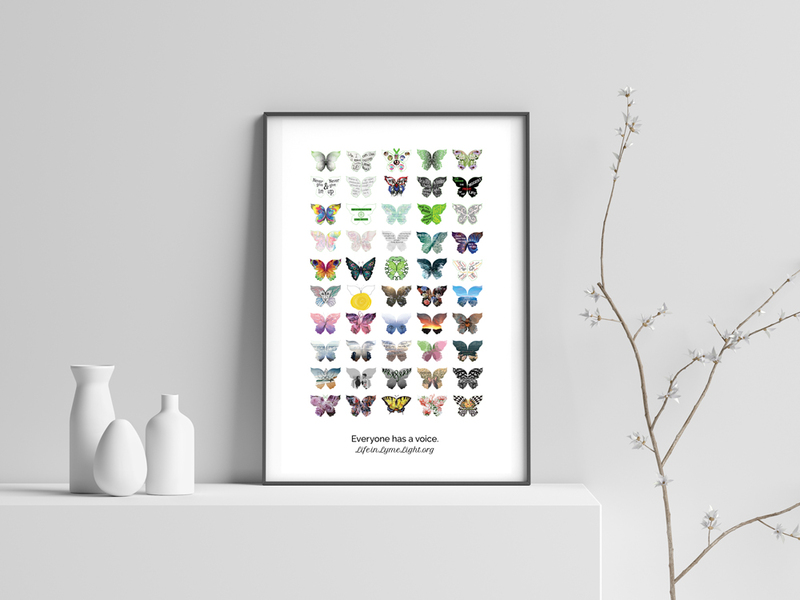 A blank butterfly outline is provided to encourage anyone to fill the wings with what inspires them as an expression for creativity and identity. This thesis project began as an inspiration from a dear friend who has the disease. This is dedicated to him.